The coming of the Europeans in Southeast Asia caused a lot of changes especially when they started colonizing the polities that used to compose the present-day Southeast Asia. They imposed laws, organizations, rules, hegemonies and ideologies which were mostly alien to the Southeast Asians of the time. The pattern of settlement is perhaps the most greatly affected by the colonization. And with this, the changes in other matters followed – such as transformations in leadership, intensification of the effects of imposing a new religion by the colonizers, and even groups were separated because of this. So how was pattern of settlement changed? 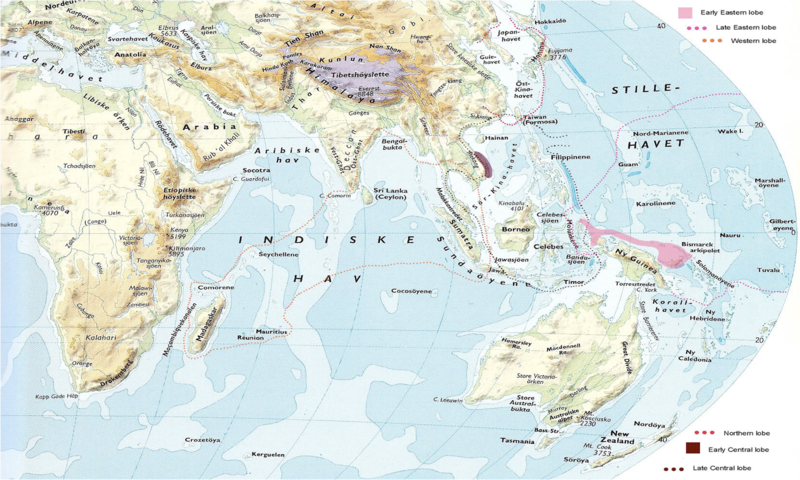 Territories were clearly demarcated by the Europeans for they divided Southeast Asia then among themselves. Groups were moved from their original settlement – some were forced to come down from the mountains, some were removed from their homes and villages and some were lumped together in places with other groups which result into conflict and disputes. In the Philippines, this can be clearly observed in the Spanish implementation of reduccion. Centers were built by the Spanish and the landscapes were carefully planned. Indios – as they called the native Filipinos then – were removed from their houses and were forcibly resettled in the centers so they can be easily monitored and ideologies can be easily perpetuated. Confession and conversion to Christianity became easier for the Spanish within this set-up. Those who did not belong in the clear demarcation of the Spanish center’s territory was said to be barbaric. Form of leadership is an example of the things changed during the colonization. With the change in patterns of settlement came the change in the form of kinship ties and leadership. In the center, not everyone is “family”. The “datu” or the headman is no longer a kin-member. The leader is no longer seen as “family” but someone who is superior and someone who could collect tax. Change in patterns of settlement was transcendent as it affected many other things. The colonizers transformed it to suit their needs and to further subsume and extend their power towards the inhabitants of Southeast Asia. In an interview, Kristin Yarris tells us about how illness is experienced and expressed in various ways across cultures. With this in mind, it might not be that easy to give out Western diagnosis to people of various cultures. It is then important to figure out how the culture works — get to know people — so as to give a sound diagnosis of illness. The tarsiers communication is “comparable to the highly specialized vocalizations of bats and dolphins, which are used primarily for echolocation,” says lead author Nathaniel Dominy with Dartmouth in a press release. He calls the Philippine tarsier’s sounds “extreme,” and listening to a sample slowed down eight times so we can hear it, one comprehends the adjective. Scientists find out that the tiny tarsier, found in the Philippines, communicate with each other through ultrasonic sounds (70 Hz-91 Hz). This is to avoid detection from possible predators. Hearing ultrasonic sounds can also help them catch insects. It may also be used as an alarm signal. Why hadn’t I heard of these women? Not the individual names — I can barely name any male archaeologists from that period — but the idea of these women, working in such numbers and even leading their fields. It was as though we’d blithely wiped them all from our popular imaginations, and thus allowed each woman to be easily dismissed — albeit with an approving pat on the head — as anachronistic and an exception-to-the-masculine- rule. The article lists down kickass women in the world of archaeology. I just find it sad that the history of archaeology as written in books is dominated by male archaeologists. We also need to know about women who made their mark in the discipline as they will inspire more female archaeologists in the field. Their appearance in the archaeology modules will also show a more realistic view of archaeology — that it is for women as much as it is for men.